Combination skin is one of the most common skin types out there, and there are a lot of different ways it can show up. The term “combination skin” just means that there is more than one thing going on. It could refer to experiencing anything from oily and dry skin simultaneously. The most common type of combination skin is an oily T-zone with dry cheeks. Sometimes this has to do with your natural pore size (larger pores produce more sebum), and other times there’s something else going on entirely. It’s different for everyone and it’s important to work with your skin in the unique way that it needs. Our initial reaction might be to turn to skin care products designed to combat combination skin, and that can help. But given that combination skin is a symptom of imbalance and can manifest itself in many different ways, it's also helpful to take a few steps to help your body get back in balance. Like most skin conditions, there’s no easy answer to this question. There are a lot of different individual causes and it can also be a combination (no pun intended) of things going on. …is the most common cause of your skin type, including combination skin (thanks mom and dad). Chatting with your parents and grandparents about their skin is a great way to know what might work well for your skin. The skin care you’re using is another thing that can cause combination skin. Using skin care with irritating ingredients can exacerbate what is already going on. The environment you live in can make a huge difference, too. Often when people move to a different environment their skin can go a little haywire and it can be difficult to reign it back in. For some people, it just takes time for the body to get used to new environmental factors and their skin will relax back into its usual patterns. Other times it takes a bit more vigilance. Stress and hormones can most certainly aggravate combination skin. 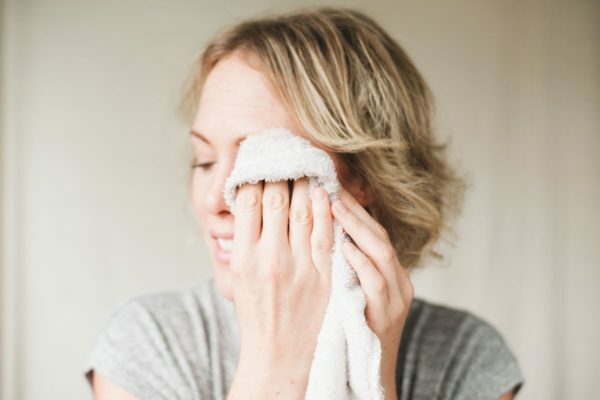 Increased stress or out-of-balance hormones can do all sorts of wacky things to your entire body, and because the skin is the last organ to receive nutrients from the bloodstream, those extra or unbalanced hormones can affect combination skin. We usually work with combination skin externally, but there are also a few things you can focus on internally to help. The key here is balance — it always comes back to balance. You want to help to moisturize the dry parts of your skin and dry up the oily parts of your skin. It wouldn’t be one of my articles if this one wasn’t on the list. 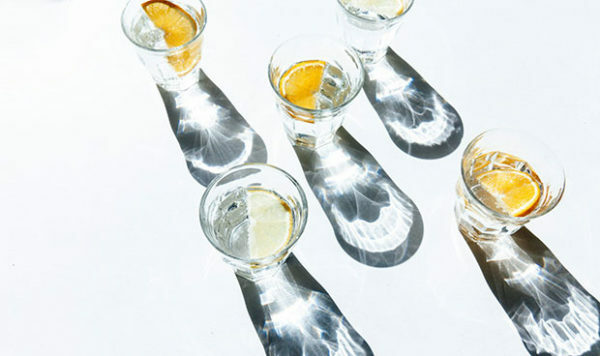 Staying hydrated is essential to proper skin function. Everyone’s skin reacts a bit differently to dehydration. True to form, people with combination skin tend to experience a bit of both worlds. The parts of the skin that are dry will be further inhibited and the parts of the skin that overproduce oil won’t be plump enough to comfortably absorb the extra oil. …and work on maintaining proper Omega balanced in your body. This is great for combination skin because these fatty acids play a crucial role to helping the look and appearance of the skin. These most often come in the form of fish oil supplements, but can come from other sources as well. Though it seems like taking an oil supplement would increase the oiliness of the skin, it actually doesn’t. Skin that over-produces oil is often as depleted as skin the underproduces oil, it’s just a different reaction to the same internal stimulus. I know, I know, human bodies do the strangest things. Working with Adaptogens to help balance your body is another great practice in general. We have talked about adaptogens before — their main function is to help regulate the body’s reaction to its surroundings. This is especially helpful if you find that your skin gets a bit out whack when you’re feeling a little stressed out. Your Diet is vital. Nourishing yourself and making sure that you’re getting enough vitamins and minerals in your diet is the best way to take care of your skin. It (always) goes back to your bloodstream and how your skin is fed. If you’re not eating enough vitamins and minerals in your diet, your blood will be depleted by the time it reaches the skin. How well do you perform when you haven’t had enough to eat? Put that into a micro-scale and it’s the exact same thing for your skin. Here are a few diet tips for you that are pretty easy to follow and can make a big difference. Eat veggies of every color, especially green and orange. These are high in minerals, beta carotene, and fiber. 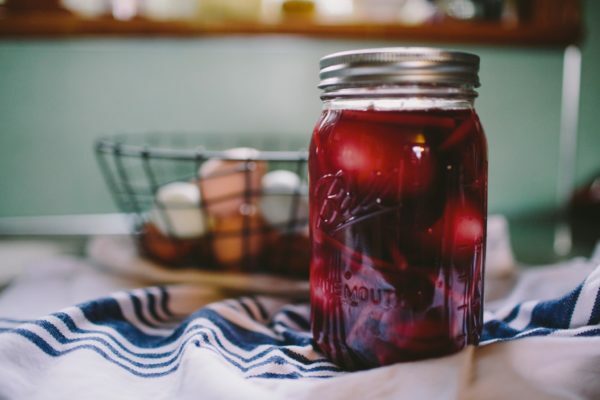 Eat fermented foods. They’re already partially broken down and the enzymes in the foods help your stomach to break your food down better, which means that your intestines can pull nutrients out more readily. 3. Cut out processed foods and sugars. Such great tips! I definitely have combination skin, but it has improved dramatically by improving my diet and skin care. I agree with all the tips given, and would also add make sure you are getting enough high quality fats. Not highly processed vegetable oils, but things like organic coconut oil, grass fed ghee if you do dairy, avocados and pastured eggs if you eat eggs. The fats will help you absorb the nutrients from all the veggies you are eating. Annmarie Gianni products have definitely improved the condition of my skin. I love the Ayurvedic Scrub with the Aloe Herb Cleanser. Tons of reviews and commentary regarding the products on my blog. I love everything I have tried! Especially in love with the Anti Aging Serum. It absorbs instantly and my makeup goes on so smoothly.